Keeping your toes toasty. 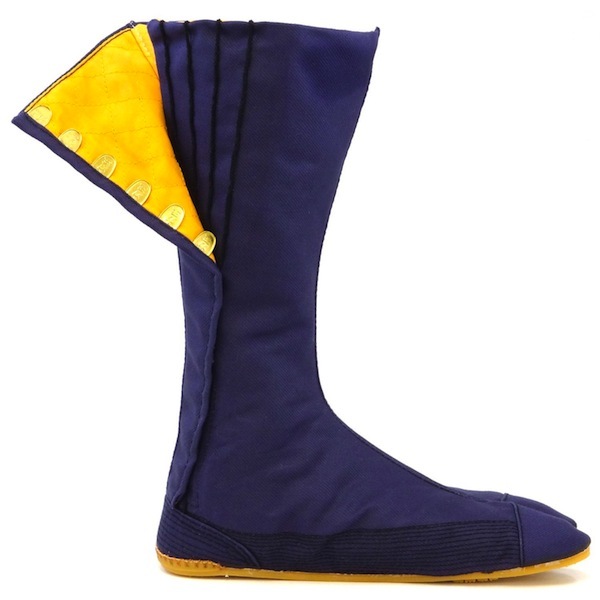 Insulated jikatabi are perfect for those cold winter days. 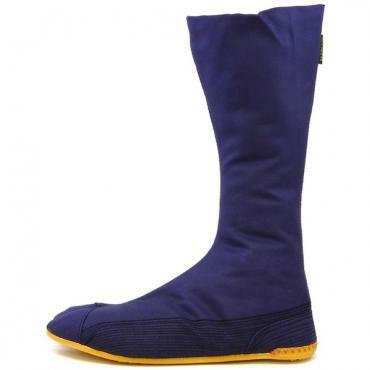 They have a thin aluminum sheet and a quilted cotton lining to keep your feet warm in winter and cool in summer. Yes, even ninja get cold toes in winter! Rikio Ho-on (insulated) jikatabi are perfect for those cold winter days. 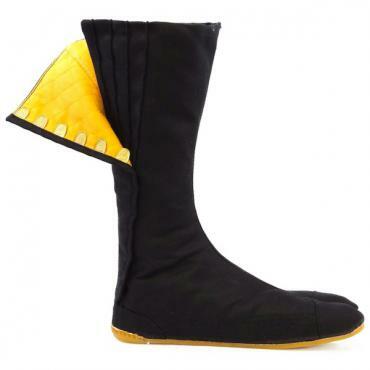 They have a thin aluminum sheet and a quilted cotton lining to keep your feet warm in winter and cool in summer. Flexible, light-weight, durable and extremely comfortable. 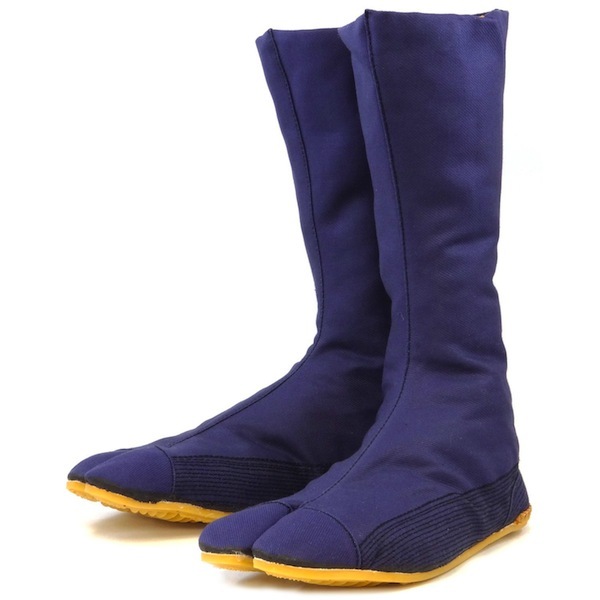 They have 12 kohaze metal fasteners and four adjustable widths to ensure a snug fit. All the stitching on the sides and heel is reinforced so the seams are extra strong and durable. 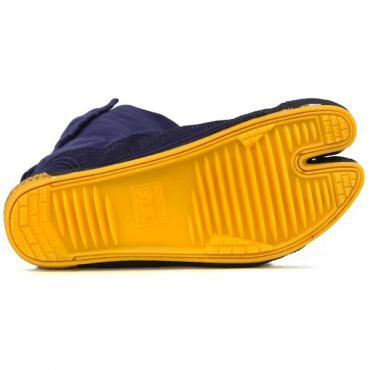 The external material is 100% black or navy blue cotton with a tan-colored, flexible-rubber sole that is double-stitched. 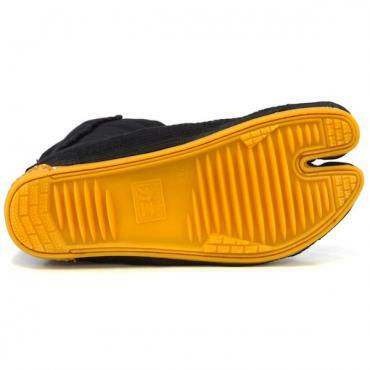 The inside is lined with orange cotton material and the insole is a thick cotton padding. Produced by Rikio, the world’s top manufacturer of jikatabi, these boots provide both protection and flexibility. 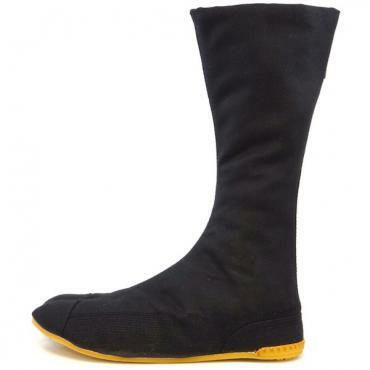 Material: Durable 100% cotton canvas upper. Reinforced stitched heel. JRFMA rubber sole. Average rating of 4.5 from 3 customers. boots = fair; Service = ! (as of Nov-Dec '13): 11/10 service! Round up a size. 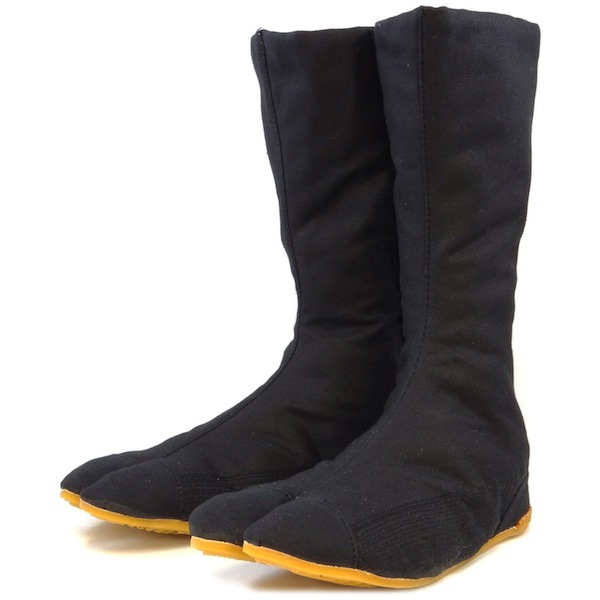 I measured 24.5 to a micron and the 24.5-sized jikatabi were too small in the toe-ward seam: 25.0-sized shoes worked. r sole is glued directly onto the fabric undersole, with an adhesive that smells bad out of the box. Not for sub-freezing temps (I wouldn't), or wet snow (not waterproof). Seriously these will not keep you warm enough, you might risk frostbite. Also unknown are the environmental and labor practices to bring you these shoes. But I love my jikatabi. And I love japanzone.com. The service was so nice that I was impressed, shoes arrived fast and was as cool as we expected! Propably the nicest place I have ever order anything! So happy, wonderful quality, stands out really well in snow!